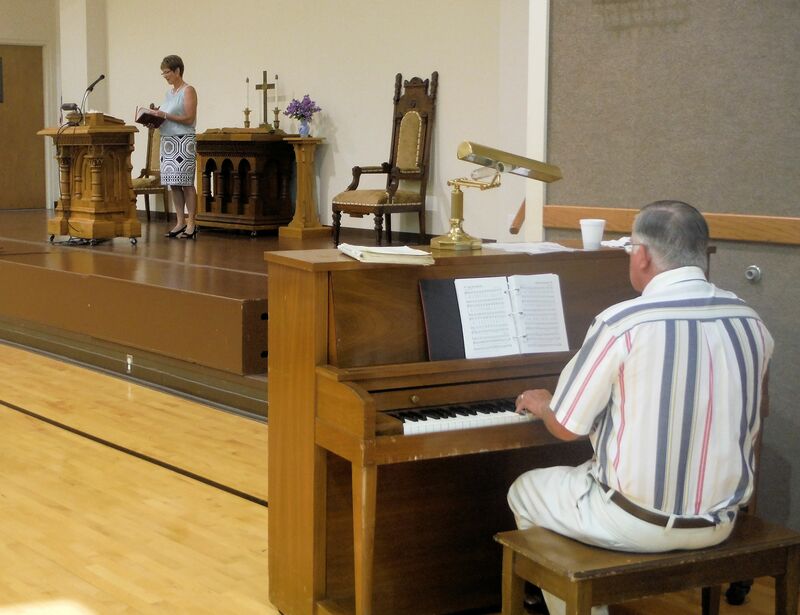 All ages gather together each Sunday morning at 9:30 AM to sing, to share joys and concerns, to listen to a timely message, and to collect an offering to support the Sunday School. We celebrate birthdays and anniversaries with a song and a special offering to Festival of Sharing. Coffee, juice and goodies are available as we gather. Children enjoy taking the offering. Laura Burger leads the opening. Volunteer piano players add to the singing. Our Sunday School has held a “Rally Sunday” annually for as long as anyone can remember in our church. Eighty plus years ago, those who attended worship also attended Sunday School. It was rare that someone only attended the worship service. According to Carole Beth Bowlin, “Rally Sunday” was a Sunday set aside for celebration. There was a good attendance for the 2017 edition of Rally Sunday as the pictures show below. 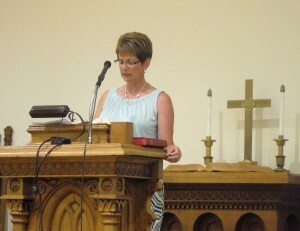 Laura Burger, Superintendent, gave a report about the benevolence, programs, activities, and curriculum of the Sunday School over the past year. Next the children and youth classes were introduced. All received certificates, some were promoted to the next class. The Youth who attended summer camp each spoke about their experience. The grades listed are the new grades of the children.